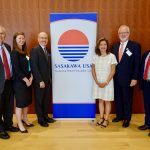 Sasakawa USA sends our deepest condolences to all those in Texas and Louisiana who have been affected by the devastation of Hurricane Harvey. 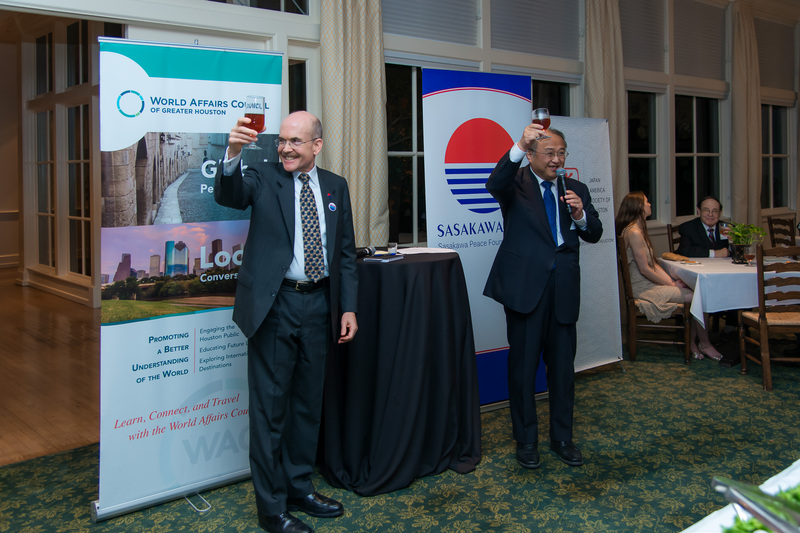 Together with our partners who stood firm against these challenging times, Sasakawa USA proceeded to hold our TAWA Houston program in support of a full and rapid recovery of one of the most important cities in this country. 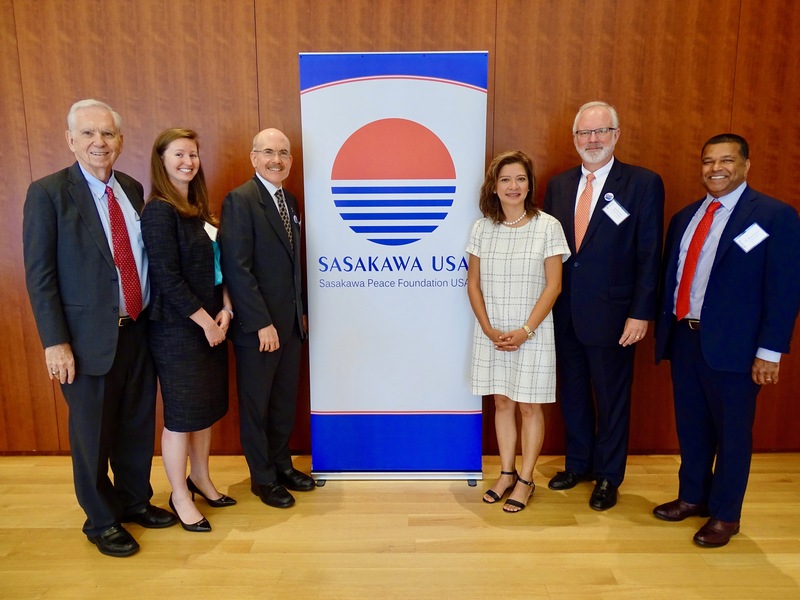 From September 13-14, 2017, Sasakawa USA traveled to Houston, Texas with a group of foreign policy and energy experts to launch our newest series in the Education Program, The Alliance Working in America (TAWA). 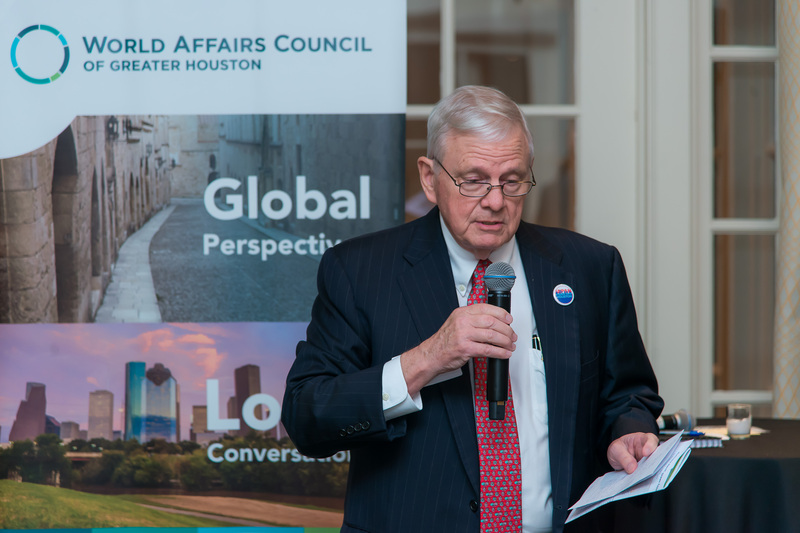 Through our inaugural TAWA Houston program, the delegation engaged local leaders, media, businesses and students on the importance of U.S.-Japan relations to American interests, both at the regional and national levels. 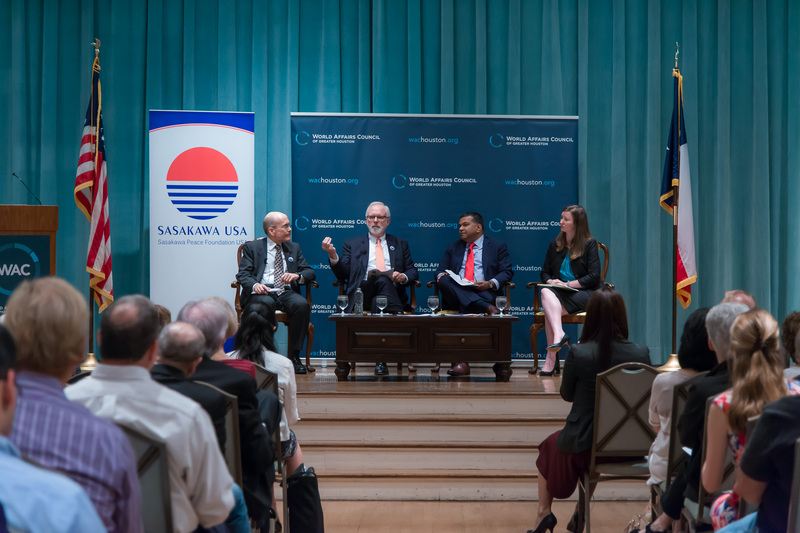 In addition to our CEO Ambassador James Zumwalt, the delegation included Dr. Satu Limaye, Director of the East-West Center in Washington; Ambassador David Shear, Senior Advisor, McLarty Associates and former Assistant Secretary of Defense for Asian and Pacific Affairs; and Clara Gillispie, Senior Director of Trade, Economic, and Energy Affairs, National Bureau of Asian Research (NBR). 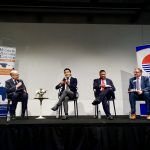 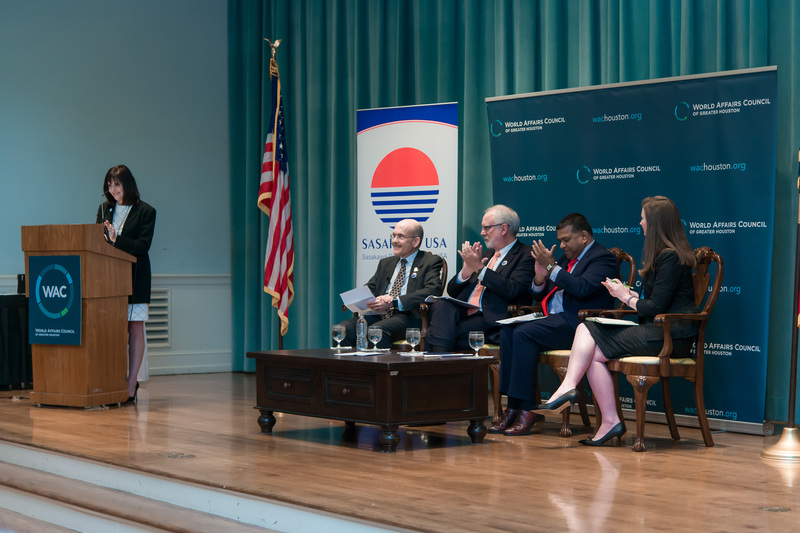 In Houston, the experts collectively addressed the role of the U.S.-Japan alliance in the greater Asia-Pacific security environment and U.S.-Japan trade with emphasis on energy relations. 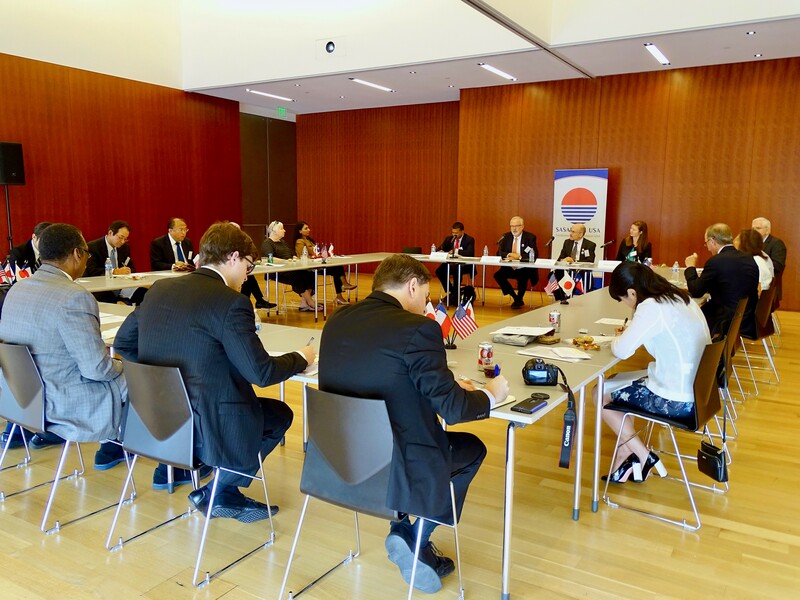 The delegation visited the Asia Society Texas Center (ASTC) on September 13 for a private roundtable with local business representatives on U.S.-Japan Relations in Energy, Trade, and Regional Security. 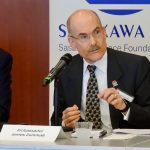 Speakers and participants discussed the framework of security cooperation between the United States and allies in Japan and South Korea, the strength of U.S.-Japan economic ties — supported by a range of statistics such as jobs and investment — and how the United States can respond to growing energy needs in the Asia-Pacific region. 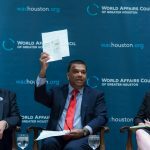 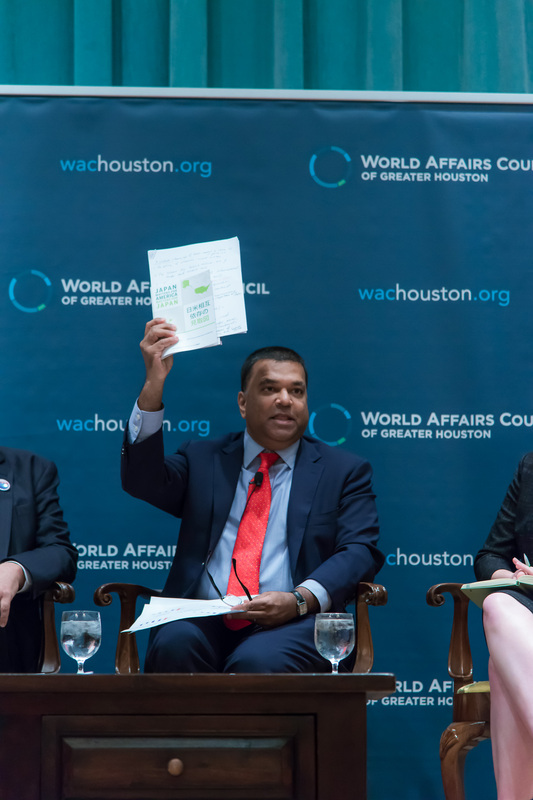 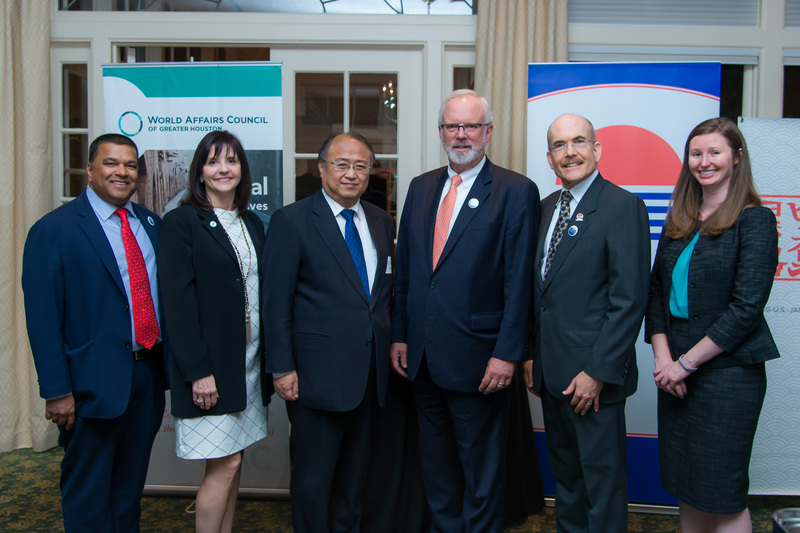 Later that day, the delegation participated in a public panel discussion with the World Affairs Council of Greater Houston and the East-West Center in Washington entitled The U.S.-Japan Partnership on Energy, Business, and the Challenges of China and North Korea. 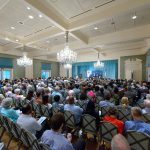 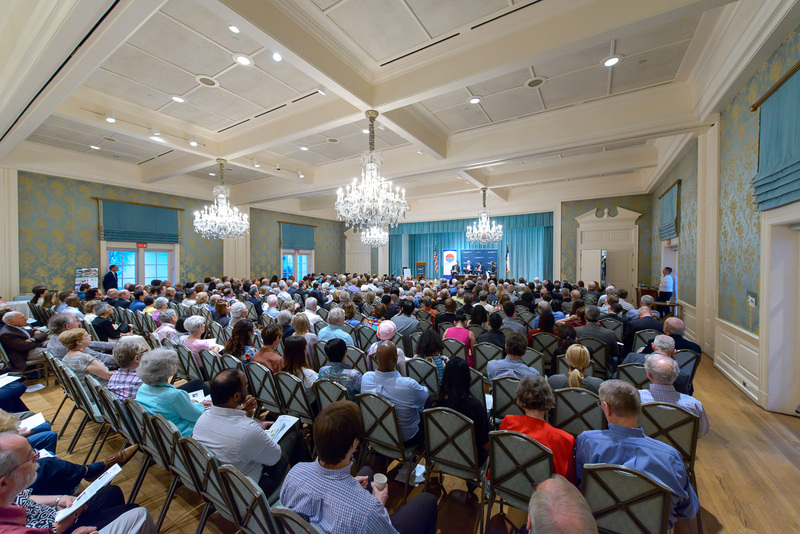 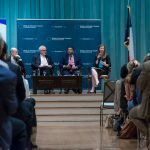 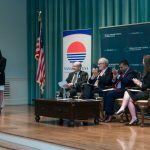 Speaking before more than 400 guests, the experts expanded on their discussion of the multifaceted relationship between the United States and Japan, from security to trade to how the alliance affects Texas specifically. 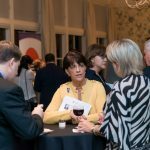 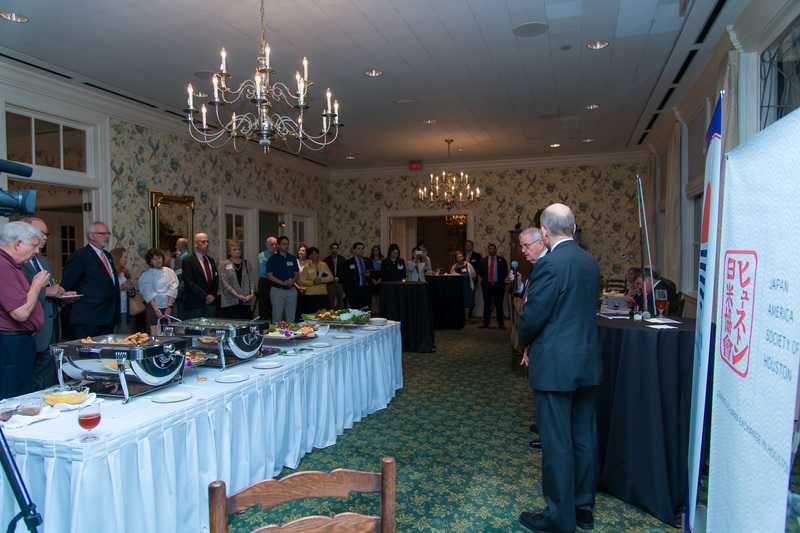 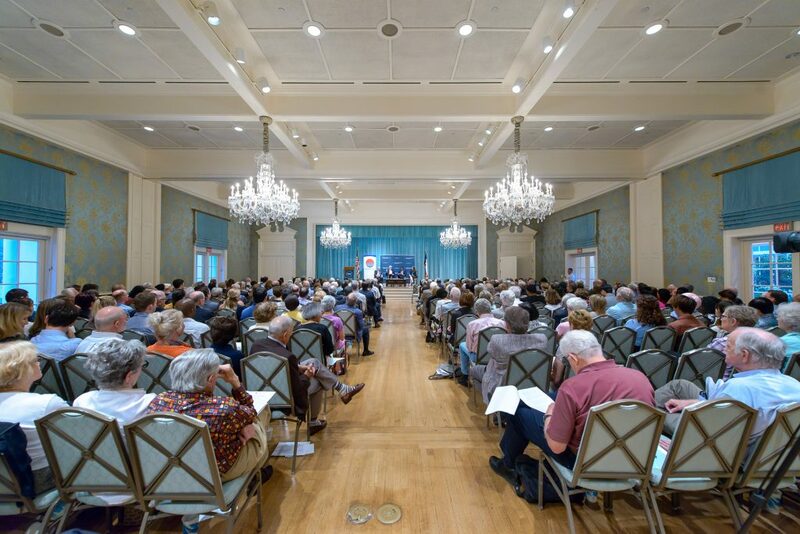 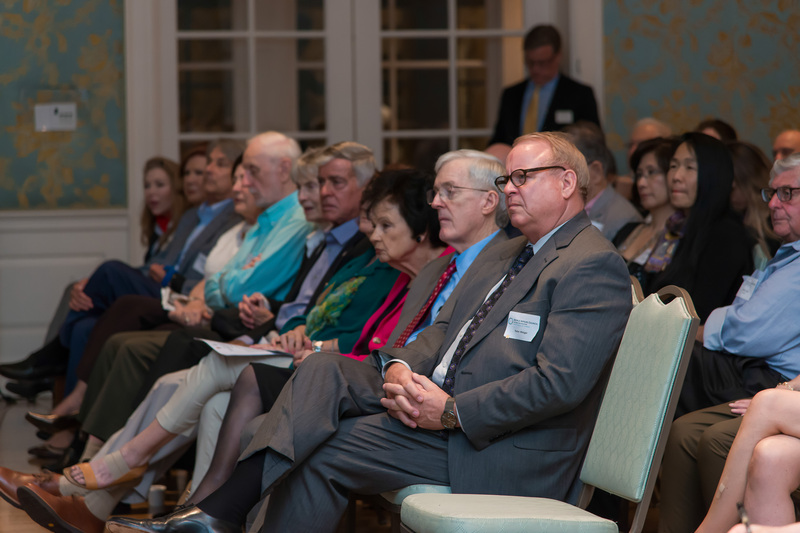 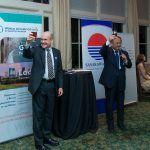 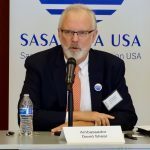 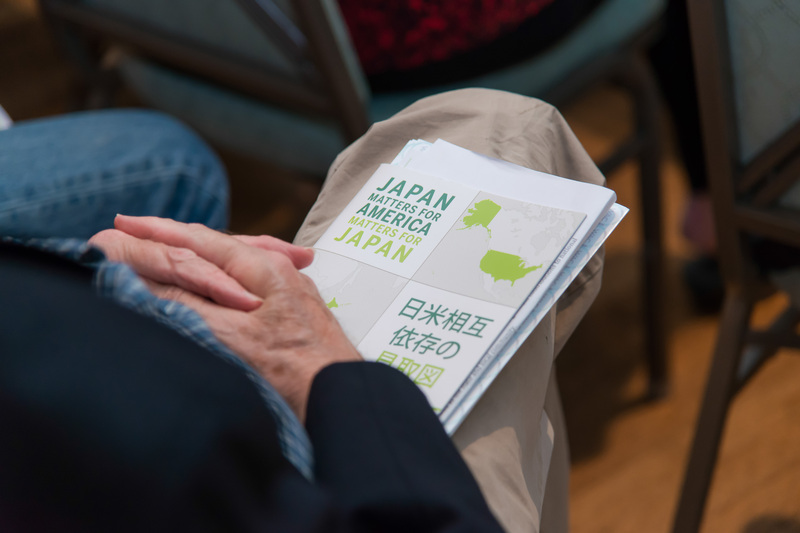 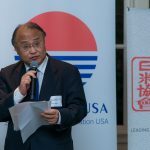 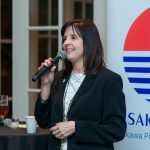 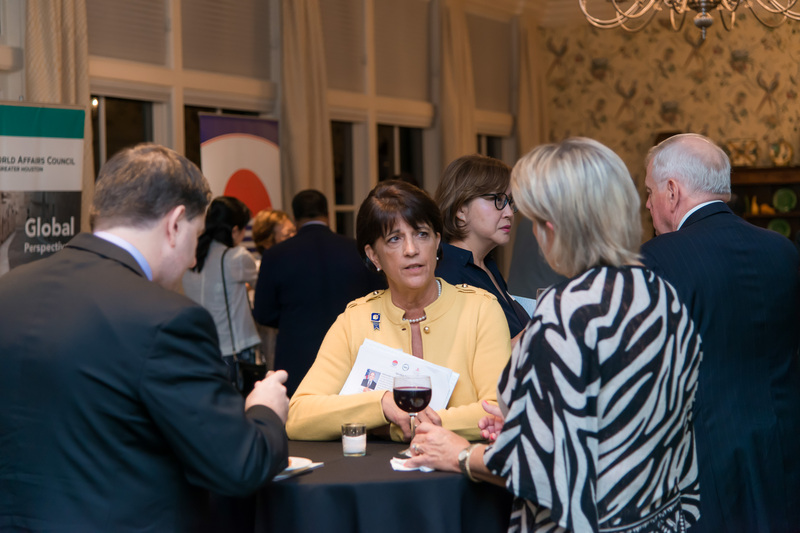 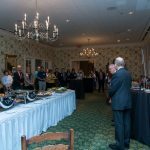 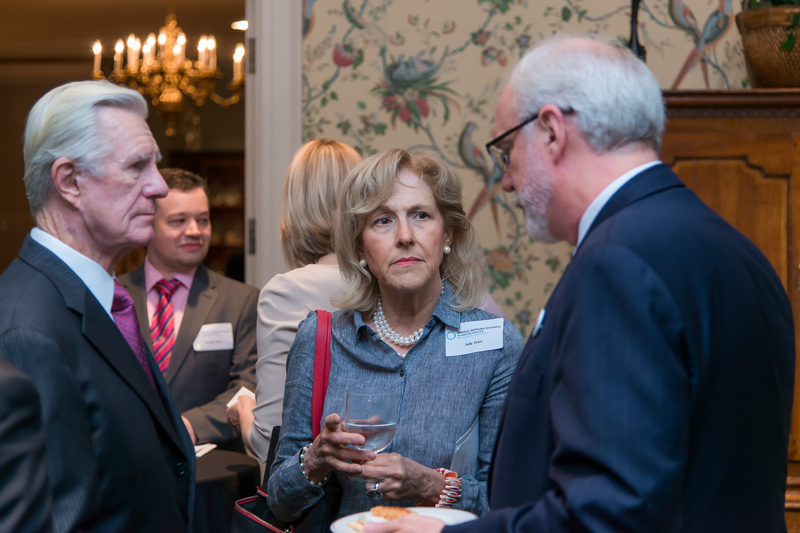 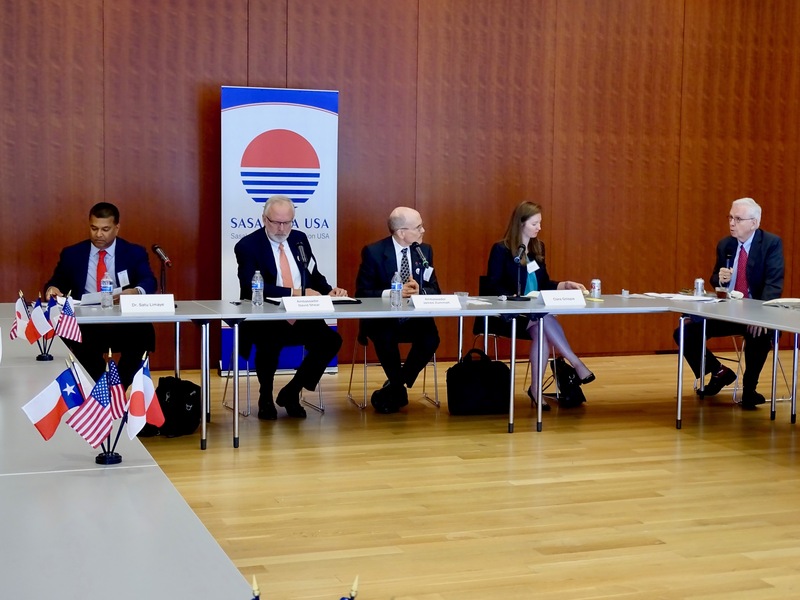 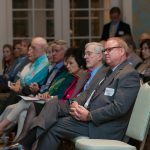 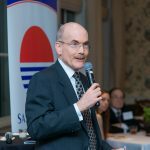 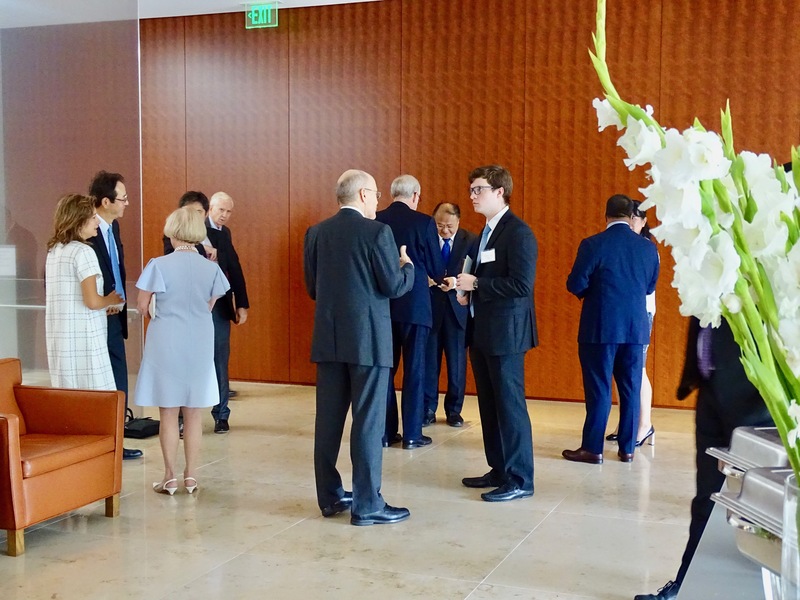 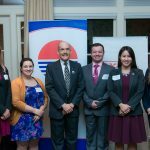 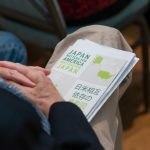 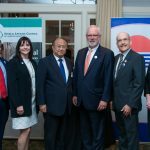 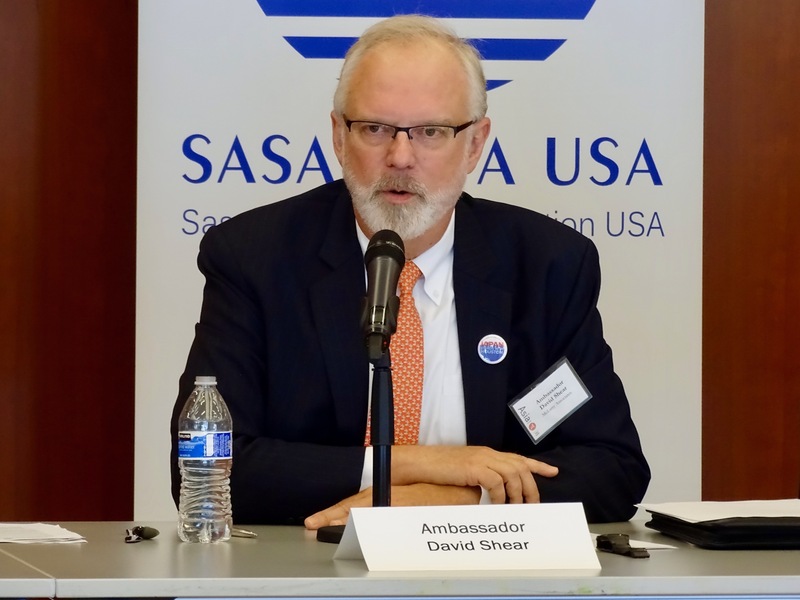 Following the panel, Sasakawa USA also co-hosted a private reception with the World Affairs Council and The Japan-America Society of Houston, gathering a select group of local experts and leaders in U.S.-Japan relations. 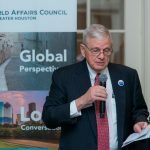 In his presentation, Ambassador Shear discussed the sources of uncertainty in Asia and how countries are responding to this uncertainty. 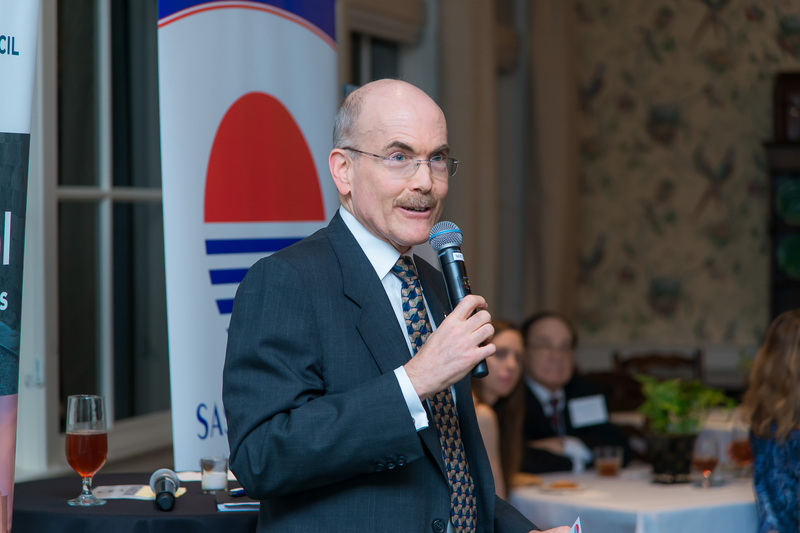 In this context, he stated that the U.S.-Japan alliance has become more important than it has ever been for the Korean Peninsula, furthering trade rules and defining how regional countries interact diplomatically. 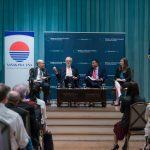 He called Japan “an island of certainty,” and a country we can trust, that shrinks insecurity, instability, and ultimately the potential for conflict in the region. 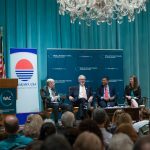 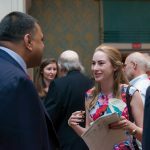 Dr. Limaye shared the East-West Center’s Japan Matters for America, a database highlighting the range and depth of U.S.-Japan relations. 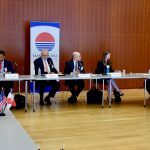 As Japan is the third largest economy in the world and shares many of the same values and interests as the United States, the two countries are aligned on a number of issues that need to be addressed in the international sphere. 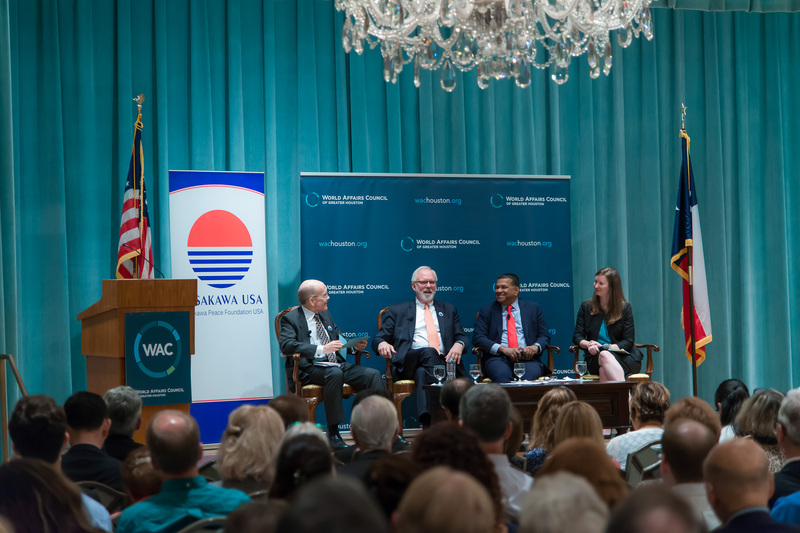 According to Dr. Limaye, without close U.S.-Japan cooperation, we would be facing a more contested world environment. 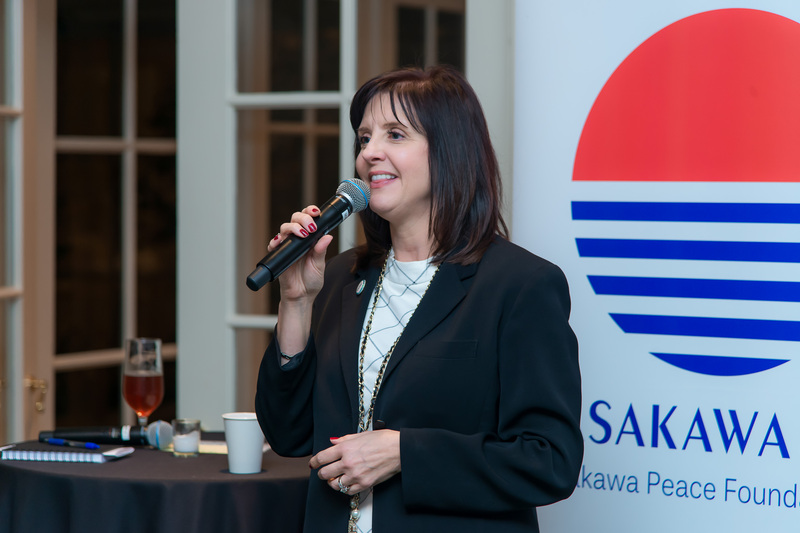 As a case study, Ms. Gillispie explored how the energy sector contributes to both the economic and security dimensions of the U.S.-Japan alliance. 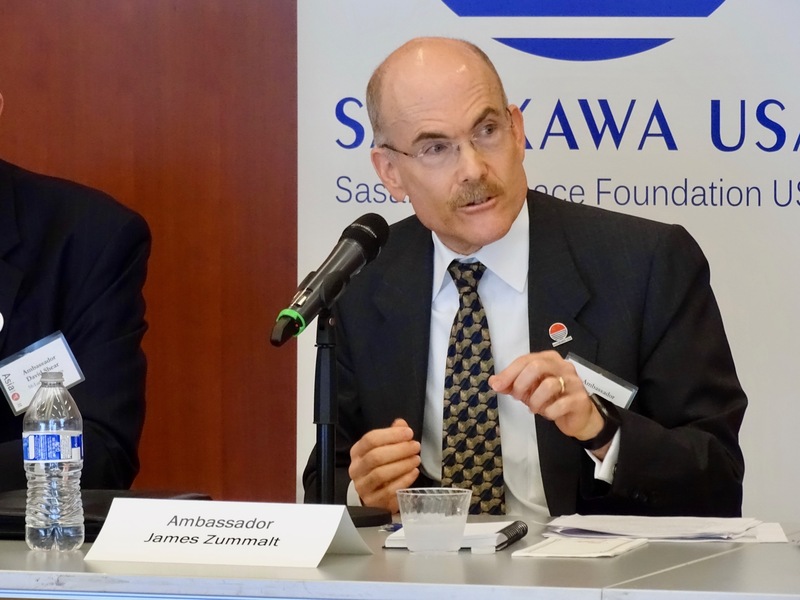 In contrast to the United States, which has entered an era of energy abundance, Japan faces an opposite outlook with its heavy reliance on imports and the increasing price of coal and gas since the Fukushima nuclear incident in 2011. 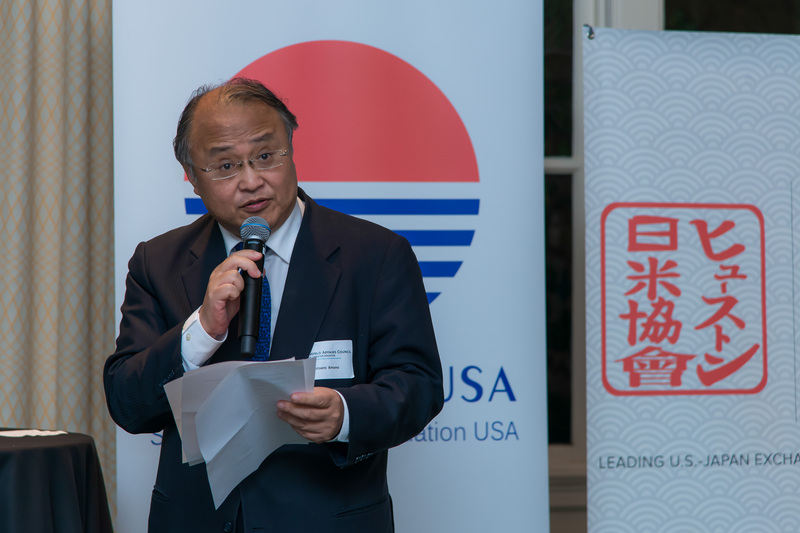 While there is potential for Japan as the largest importer and the United States as an exporter of LNG to cooperate, there needs to be a reliable market to make cooperation possible. 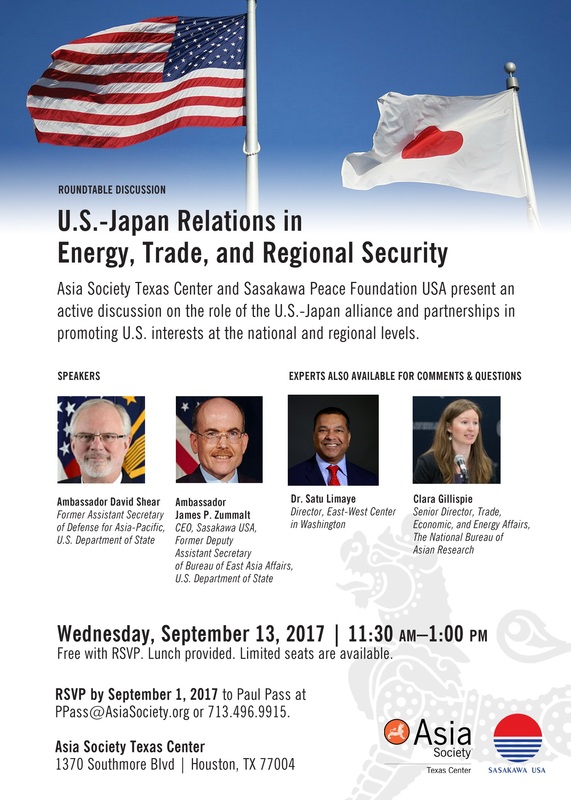 Noting the insufficient level of access to stable and affordable energy supplies for the people in Asia, Ms. Gillispie recommended that the U.S. and Japanese governments address infrastructural development and general supply chain needs to prevent energy needs from generating conflict and zero-sum situations in Asia. 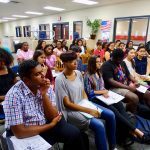 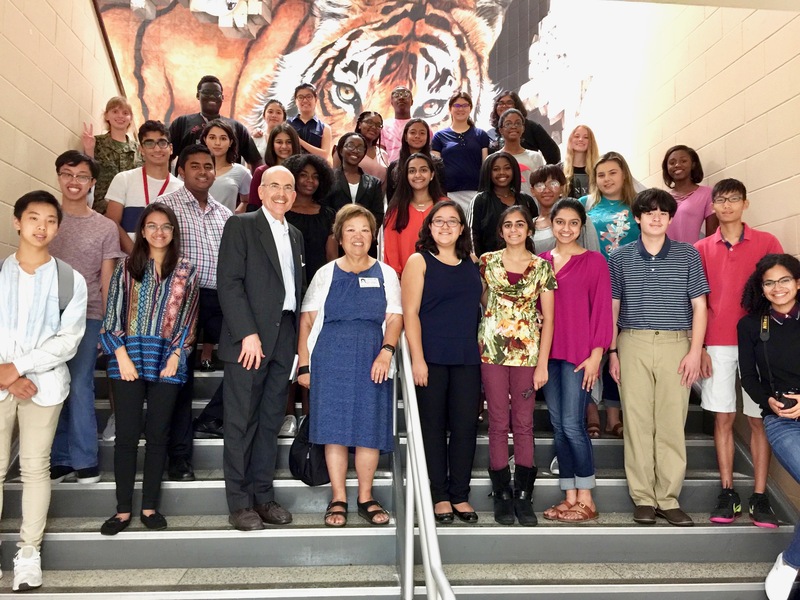 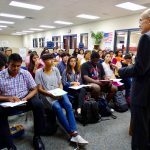 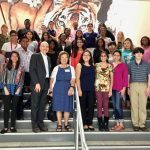 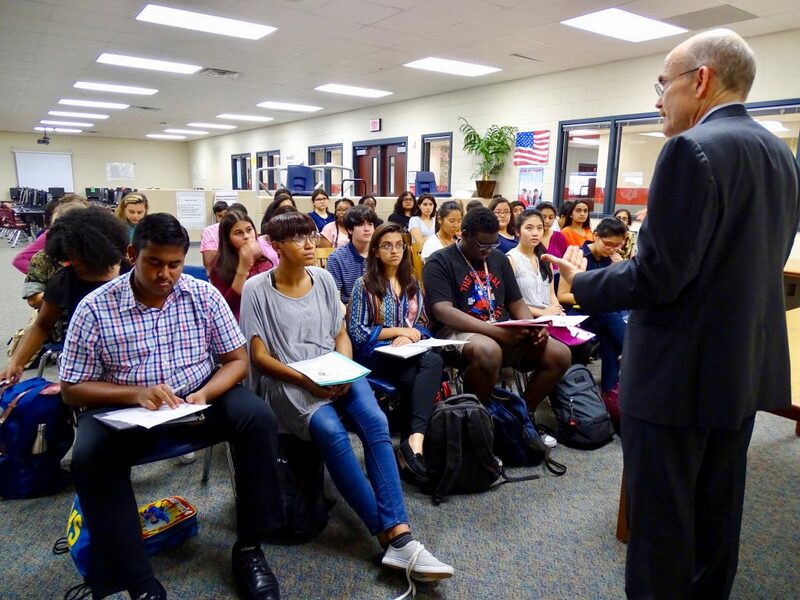 The following day, Ambassador Zumwalt, his wife Ann Kambara, a former foreign service officer, and Joy Champaloux, Associate Program Officer, Sasakawa USA, visited a public high school in Fort Bend County, Texas that runs a unique Global Studies Academy program. 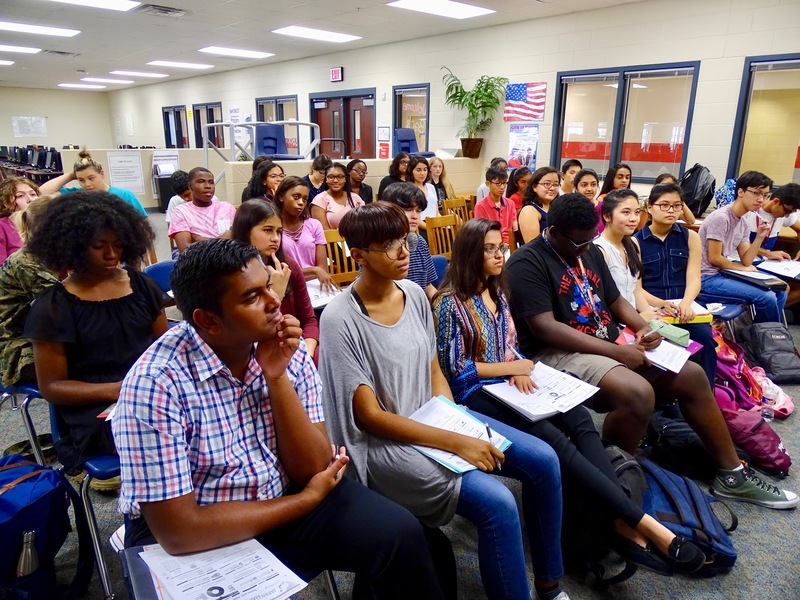 Students apply in middle school to attend specialized academies in addition to their usual classes, and GSA participants are required to join at least four enrichment activities and to enroll in four years of a second language. 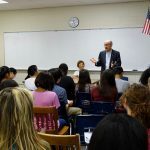 Ambassador Zumwalt and his wife talked about their experiences as Foreign Service officers, the importance of learning a second language, and all three speakers shared how exchange programs greatly influenced their careers. 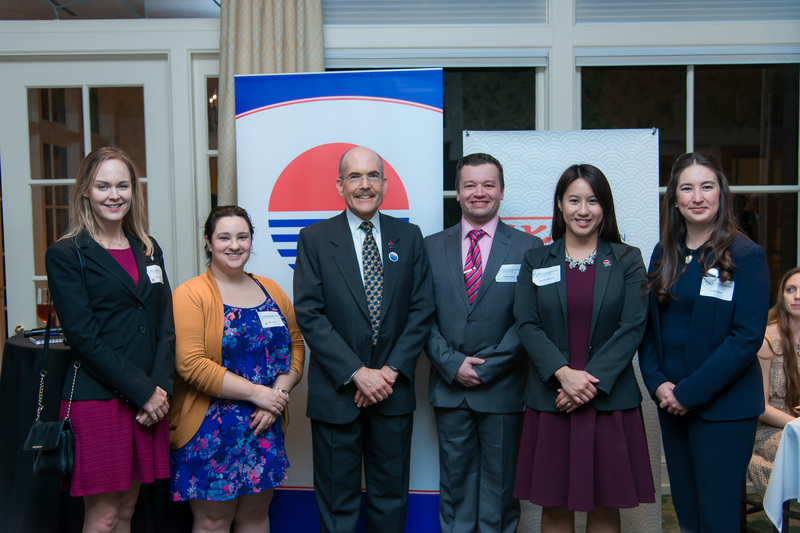 Champaloux also spoke about her time teaching English on the Japan Exchange and Teaching (JET) Program and how the experience has contributed to her understanding of Japanese people and the importance of the U.S.-Japan relationship. 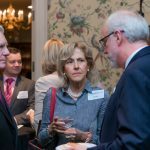 She now serves as President of the JET Alumni Association of Washington, D.C., a 501(c)(3) educational non-profit dedicated to strengthening the network of JET alumni in the Washington, D.C. metro area and furthering the JET Program’s goal of promoting grassroots internationalization and education in our local communities. 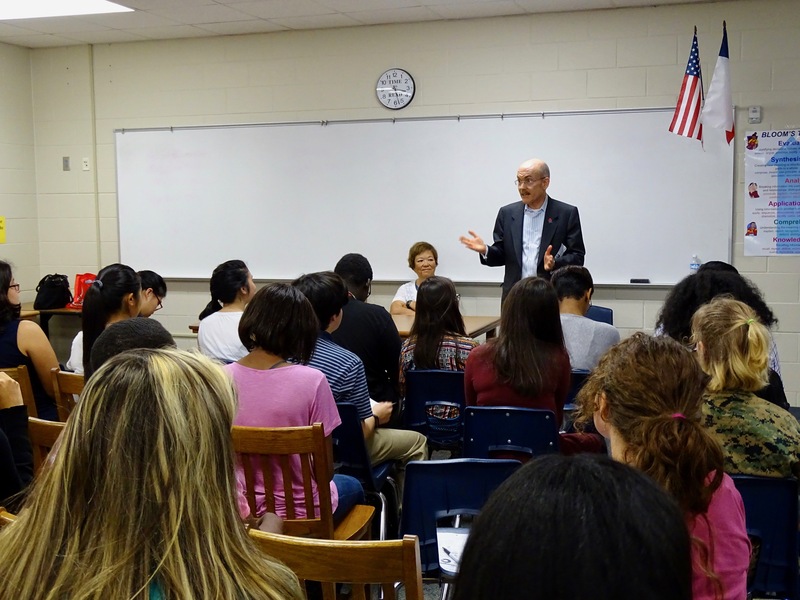 The students listened keenly and asked many questions. 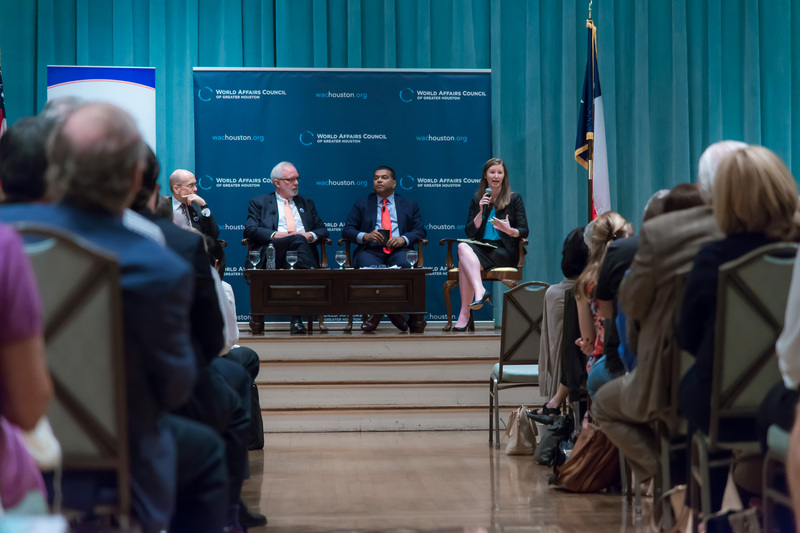 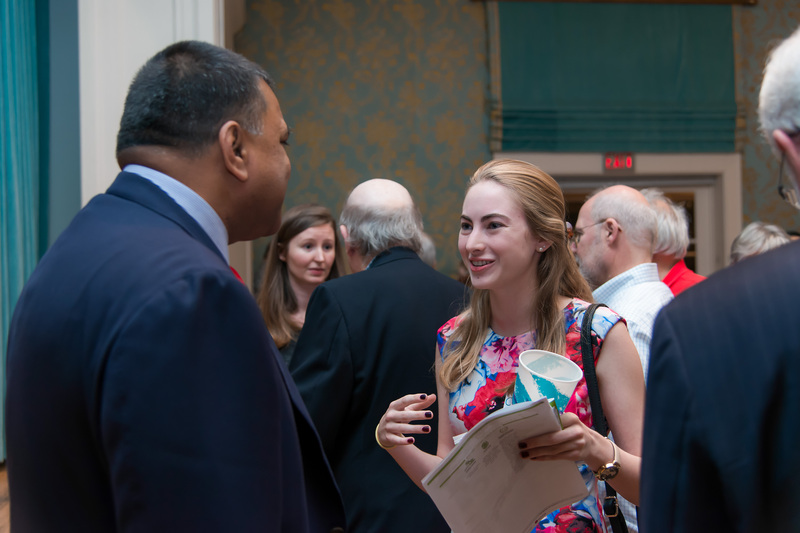 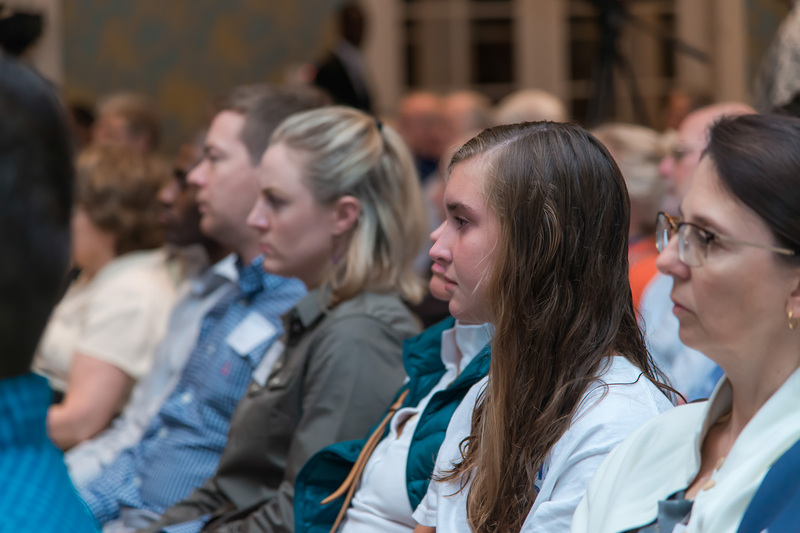 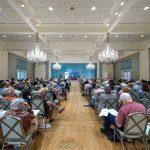 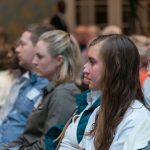 The motivation of the GSA students to pursue a career in international relations inspired the speakers and raised hope for their bright futures ahead.